From paper cutters to axes, swords to shovels, the Sharp Brothers sharpen just about everything. 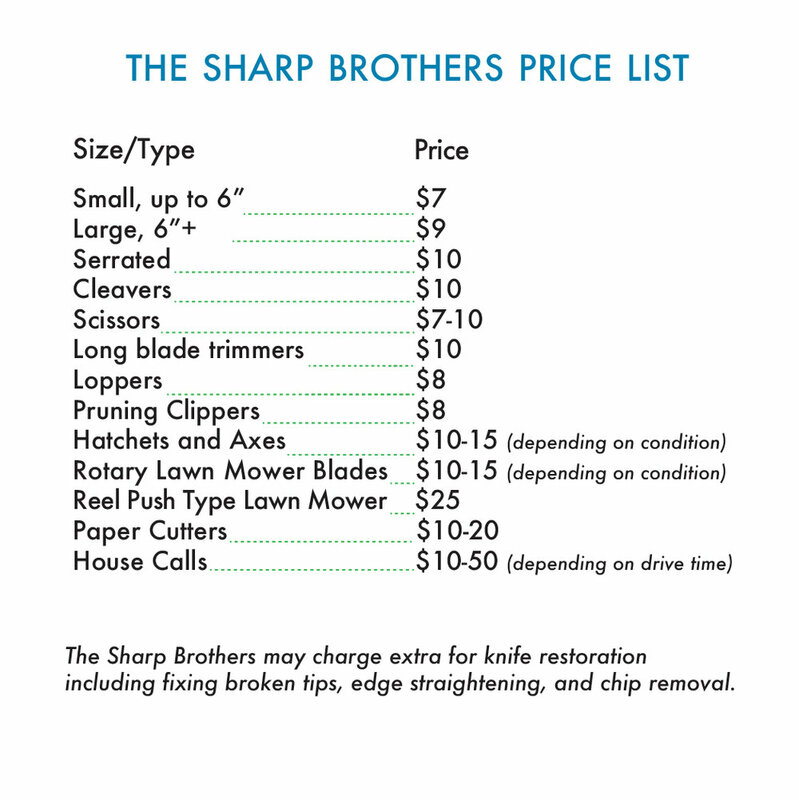 Below you'll find a list of prices for our most commonly sharpened items. If you have something you'd like sharpened that isn't listed, Contact Us, we'll let you know if we sharpen it and how much.